Selamat Datangis the traditional Malaysian greeting that welcomes visitors to this vibrant and exotic country. Ethnically diverse cultures share the same lush landscape and create a fusion of cultural styles, cuisines and religions that is distinctly Malaysian. Festivals throughout the year mark the Malay, Chinese and Indian holidays, as well as those of the indigenous Orang Asli and the tribes of Sabah and Sarawak. Malaysia is a country with two distinct parts. Peninsula Malaysia constitutes the long fringe of land, extending down from Asia, which borders Thailand and Singapore. The South China Sea separates the mainland from the less populated East Malaysian provinces of Sabah and Sarawak. The dense jungles of Sabah and Sarawak support abundant plant and wildlife and Mt Kinabalu in Sabah stakes its claim as the highest peak in Southeast Asia. It is the peninsula that seems to attract the most visitors, probably because of the diversity it offers in the way of people, activities and climates. The highland regions offer cool relief from the clinging humidity of the mainland, while Langkawi is the popular choice for sand and surf enthusiasts. The east coast, particularly the northern Kelantan province, offers the chance for an interesting cultural exploration of traditional Malay life. The city of Kota Bharu and its surrounds is possibly the most fascinating part of the peninsula, and the least visited, with a remote beauty and rich culture. The west coast is favoured for historical interest, and is where Malaysia's capital city, Kuala Lumpur can be found; it is the icon of Asian prosperity and the meeting point for expats and city slickers who enjoy the energy of urban life. The city is a powerful mesh of tradition and technology, vying for equal status. The 328-foot (100m) flagpole rising from Merdeka Square is one of the tallest in the world, and marks the place where Malaysia achieved independence at midnight on the 30th of August 1957. The square is the heart of Malaysian nationalism and one of the few places in the city where historic old colonial buildings can still be seen. The city's colonial past is still very much alive in the architecture of the surrounding buildings and the large field still hosts the occasional cricket matches. The Tudor-style Royal Selangor Club rests on one corner of the square, looking onto a large video screen displaying religious messages and advertisements. The Club served as a social centre for Kuala Lumpur's British residents; its doors are now open to anyone who can afford the membership fees. In keeping with die-hard customs women are still not allowed entry to the bar, except by invitation. Other buildings of interest around the square include St. Mary's Church, purported to be the first church built in Kuala Lumpur; the Abdul Sambad building, built in 1893 and named for one of the sultans; the High Court building; and the old Town Hall. There are some shops and restaurants in the vicinity and it is an interesting area to stroll around - the square is also nice to visit at night. The crowded and colourful Chinatown area is a jumble of shops, food, smells and people. The central section of Petaling Street is closed at night to traffic and the street is transformed into an exciting, brightly lit experience. Vendors spread their wares onto the pavement and one can stroll along endlessly taking it all in. Merchandise ranges from jewellery to toys and t-shirts - with lots of fake brands on sale - and bargaining for the best prices is accepted practice and part of the fun. There are many stalls in the market during the day but Chinatown is a more special experience at night, with the bright lights promising good photographs. However, no matter what time of day you visit, be sure to stay vigilant with your possessions as pick pockets are a problem in the area and the crowds, noise and multitude of distractions make it easy for them to operate. Chinatown's popularity is gradually causing a rise in both prices and petty crime, which is unfortunate, but there is great fun to be had, the food is always yummy, and there are certainly still bargains to seek out. Apart from all the exciting shopping and food, there are some great Chinese temples in the area, for those who want to experience a touch of the culture. Kids generally love the bright and busy area. Admission: MYR 85 (adults), MYR 35 (children). The towers are open to the public Tuesday to Sunday 9am to 9pm (closed from 1pm – 2.30pm on Fridays), but tickets go on sale at 8.30am. The Petronas Towers are designed to impress and encapsulate Malaysia's emergence as Southeast Asia's commercial and cultural centre. Celebrated as among the tallest towers in the world and the tallest twin towers, the building stands at a height of 1,483ft (452m) and the two towers are joined by a skybridge extending 192ft (58m) across. Traditional geometric principles of Islamic architecture have been followed using modern technology, with an inspiring result. The Petronas Towers are used as office complexes that form part of the Kuala Lumpur City Centre Development Park. The towers dominate the city skyline and are particularly beautiful at night when they are lit up like a beacon. Many people will recognise the building from the popular film Entrapment, and other movies and programmes. There are limited tickets per day so it is a good idea to get there early or book in advance online. 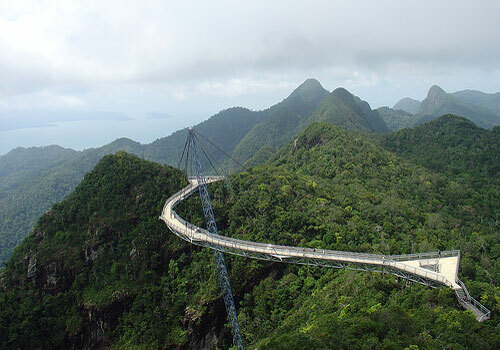 On the tour you will cross the famous bridge and go up to a viewing platform on the 82nd floor. The views of the city are phenomenal. There is an exhibition detailing the development of the towers and a gift shop selling souvenirs like books, postcards, clothes and miniatures. Travellers should note that there have been scams involving fake Petronas Towers tickets - tickets should only be booked at the ticket office or through the official website listed below. British architect AB Hubbock was inspired by North Indian Islamic design when he conceived this magnificent railway station, which could easily be mistaken for a sultan's palace. Spires, minarets, towers and arches explode against the backdrop of skyscrapers emphasising the glory of Moorish elegance. The building is lovely and has been very well-maintained, and it is a refreshing sight in a city which actually has very little colonial architecture, and few historic old buildings. It serves not only as an aesthetic vision but is in use as an important commuter station; inside it is fairly unremarkable and looks much like other stations. Opposite the station there is an administrative building which is also architecturally interesting. Inside the station there is a small railway museum on the evolution of railway technology in Malaysia; the exhibition is intriguing for railway fanatics, but for those not particularly interested in the technology it may be a waste of time. The Kuala Lumpur Railway Station is ultimately more of a landmark than an attraction - it only requires a quick walk by and photo shoot and shouldn't occupy much of your time - but it is a charming building which attracts rave reviews from many visitors to the city. Masjid Jamek, the Friday Mosque, is located where the Gombak River flows into the Klang River; with palm trees and curved steps leading to the water's edge, the mosque is a haven of peace and tranquillity set among the buzz and rush of modern Kuala Lumpur. The mosque is situated on the spot purported to be where the founders of Kuala Lumpur fist set foot. The design was inspired by Mogul mosques in northern India. Cupolas and minarets top the brick walls and arched colonnades. As with all mosques, a visit calls for conservative dress and the removal of shoes; the mosque staff at the entrance supply women and men with appropriate attire for a mosque visit if they have not come prepared. If you only visit one mosque in Kuala Lumpur the Friday Mosque is probably the best option, but the National Mosque is also worth investigating. A modern contrast to the Friday Mosque, the National Mosque was completed in 1965 and remains one of the largest mosques in Southeast Asia - the vast main prayer hall can accommodate up to 10,000 people. Many of the city's Malay office workers congregate here for the Friday afternoon prayers. The impressive 18-point star-shaped dome represents the 13 states of Malaysia and five central Pillars of Islam. Entry is only permitted once prayers have been concluded. Robes can be borrowed from the desk at the mosque entrance. Admission: Theres a small admission fee for the Butterfly House, Bird Park, and Orchid and Hibiscus Gardens on weekends. Daily 7am to 8pm. These beautiful gardens, established in 1888, form the green belt of Kuala Lumpur, and the lakeside loveliness with a backdrop of skyscrapers is reminiscent of New York's Central Park. The lush vegetation surrounds a vast lake, with a number of romantic bridges and plenty of space to relax, read a book, go for a walk or jog, or socialise. Visitors can take a leisurely boat cruise to enjoy views of the gardens from the water. There are numerous attractions within the gardens, which incorporate the National Monument, Butterfly House, Bird Park, Orchid and Hibiscus gardens, and Malaysia's Parliament House situated at the northern end. There are wonderful playgrounds for little ones and if you are travelling in Malaysia with children a jaunt to the gardens is the perfect way to let them blow off some steam. The water and shade make the Perdana Botanical Gardens (formerly known as the Lake Gardens) a cool refuge from the humidity and crowds of the city, and for those interested in the indigenous plant life there is plenty to see. There are numerous restaurants fringing the gardens but the best option is to pack a picnic and spend a few hours in some green nook. Admission: MYR 5 (adults); MYR 2 (children aged 6 to 12). Daily 8am to 6pm. Many of Malaysia's historical artefacts and cultural treasures are housed in the National Museum, which is an appropriately designed building, reflecting the Minangkabau architectural style of the region. Ethnographic and archaeological exhibits include life-size dioramas depicting various aspects of traditional Malaysian life. Shadow play (Wayang kilt) displays reflect the ancient artistry of the nation, while exhibits of traditional weapons such as daggers (kris) and machetes (parangs) reveal the Malaysian pride in functional aesthetic forms. The museum covers a lot of time and subject matter and can seem discordant as a result of the many topics and occasional lack of linkage between periods and themes; as a result, it is a good idea to join one of the free guided tours that do the rounds daily at 10am (in several different languages) so that you can ask questions and get a bit more information. Apart from the extensive permanent collection there are always temporary exhibits. There is a cafeteria and museum shop, and the premises are equipped for disabled visitors. Photography is permitted in the museum but only for private use and only with hand-held equipment. The air conditioning is a big plus on hot Malaysian days! Stalagmites and stalactites festoon the interior of these impressive limestone caves, together with the Hindu shrines that honour their deities. The caves were discovered by the American explorer William Hornaby in 1881 and are very interesting in themselves, but have since become a Hindu holy site, particularly associated with the celebration of Thaipusam, a three-day religious festival during January/February. Thousands of devotees flock to the caves during the festival to pay penance and undergo rites of self-flagellation that are fascinating, if a bit disturbing, to observe. The largest of the caves, Temple Cave, is reached by climbing 272 steps to its entrance from which a path leads to Museum Cave, housing a dazzling display of ornamental religious art. There is a clear view from the top to the Subramaniam Swamy Temple, set within a large cave that extends for 262 feet (80m). Onsite companies offer rock-climbing opportunities as well. It is a good idea to take some water as the climb up is tiring. Those with physical difficulties may struggle. Beware of the monkeys: they are cute and fun to photograph but they also steal things that take their fancy, so hang on to your belongings and keep an eye out. Taman Negara contains some of the oldest rainforest in the world and spans thousands of square miles of protected land. Its richly diverse fauna and flora have evolved over a staggering 130 million years. The best way to explore the diversity of plant and animal life is by 'trekking' along the jungle trails. Although seldom seen, a small population of nomadic Orang Asli people still live in the rainforest, their makeshift shelters appearing in clearings among the jungle growth. Guided tours to tribal villages are available from several operators. Besides trekking, the park's other attractions are fishing, river rafting or bird watching and climbers can explore the Peninsula's highest mountain, Gunung Tahan, at 7,175 feet (2,187m). The best time to visit Taman Negara is between March and September. There are numerous canopy and trekking tours offered but it is ideal to avoid the tours and do your own thing to really experience this jungle world. It is easy to self-guide in Taman Negara. Hiking the main path across the park takes about three days and there are wooden refuges to camp in at night to keep you safe. The jungle sounds at night are incredibly special, if a bit unnerving for the uninitiated. There are several luxury lodges within the reserve, but budget accommodation can be found on the outskirts. The fascinating seaside city of Melaka (Malacca) preserves the historic convergence of Chinese and European cultures. Its strategic position on the Straits of Melaka brought a tide of trade with China, India, Siam and Indonesia. Colonial powers wrestled for control, and much of the Portuguese influence from the 1500s is cemented in its architecture. The most notable cultural presence today is predominantly Chinese. Chinese merchants continue to ply their trades in the tradition of their forefathers. Open-air markets burst with colourful fruit, vegetable and fish produce. The oldest Chinese temple in Malaysia, Cheng Hoon Teng, together with the vast Chinese cemetery, support a thriving industry entirely dedicated to the deceased. The merging of Chinese and Malay cultures has produced a unique ethnic group found in Melaka, the Baba-Nyonya. The remarkable lifestyle of this micro-culture can be explored in the dedicated Baba-Nyonya Heritage Museum. Jonker Street is an attractive thoroughfare, almost always strung with traditional Chinese lanterns, which often hosts night bazaars and festivities on weekends. Trips on the Malazza River are popular, and there are many historic buildings to explore, including the Stadthuys, which was once the seat of the Dutch administration and now houses a history museum. There are also some interesting ruins on St. Paul's Hill. Five pristine islands comprise this 4,929-hectare (12,100 acre) park. The islands are: Gaya, Mamutik, Manukan, Sapi and Sulug. Each is an idyllic composition of white beaches and offshore coral reefs hugging inland forests teeming with animal life. Visitors are welcome to camp, trek, swim and snorkel around each of these and they are all incredible destinations. Gaya Island is the largest of the five; it has been a forest reserve since 1923 which has helped to preserve the dense tropical forest that covers it, traversed by great hiking trails. There is a legendary beach in Police Bay and well-preserved coral reefs for divers and snorkelers. There are two luxury resorts for accommodation. Manukan Island is the second largest and the most popular with Malaysian locals. There are good beaches on the south coast and the eastern tip of the island, and it is the most developed of the chain with plenty of tourist facilities and fun activities on offer. Mamutik Island is the smallest, but still has its share of loveliness, with wonderful beaches and coral reefs. There is very limited accommodation but for those few who do stay on the island it is a tranquil and beautiful retreat. Sapi Island is very popular with foreign tourists and can get quite crowded during the day - it is in demand for its white beaches and the great diving and snorkelling available off its shores. There is accommodation and good tourist facilities but after the last ferry departs in the evening it too becomes tranquil. Sulug Island is the most pristine and untouched of the chain, and the furthest from the mainland. It is the ideal destination for those seeking peace and quiet. There are good reefs off the south of the island. This mushroom-shaped island is known among divers around the world for its unique seascape and exceptional beauty. A rich variety of marine life shimmers through the translucent waters surrounding this oceanic island: something like 3,000 species of fish, hundreds of species of coral, and numerous turtles, rays and sharks frequent the area. Sipadan Island tops the Malaysian itinerary for serious scuba divers; it is located in the world's most bio-diverse marine habitat, and is frequently called the best dive site on the planet. The famous underwater explorer Jacques Cousteau described the underwater world of Sipadan as 'an untouched piece of art'. In an attempt to keep it untouched, the Malaysian government has taken measures to preserve the fragile ecosystem. The island was a disputed territory, claimed by both Malaysia and Indonesia, until 2002 when it was ruled part of Malaysia. Since then the dive resorts were ordered off the island, the amount of divers allowed in the water per day was limited, and night dives were banned. This means you can't stay on the island itself, but there are popular resorts nearby, like the Sipadan Kapalai Dive Resort and the Sipadan Pom Pom Resort. Mount Kinabalu rises from the Kinabalu National Park at an impressive 13,500-foot (4,101m), the highest mountain between the white peaks of the Himalayas and those of New Guinea. Despite its formidable height, it is a comparatively easy climb that has been enjoyed by tourists of varying ages and fitness levels and takes two to three days, depending on how you want to tackle it. Most people spend a night at Laban Rata before mounting the summit - Laban Rata is actually the name of a big hostel which caters to hikers, but it is also generally used as the name for the area where people rest for the night. From the rest camp it is a three to four hour hike up to the summit; if you want to watch the sunrise from the top - a magical experience - then you should aim to leave very early, between 2am and 3am. There is some weird and wonderful vegetation on the trail ascending the mountain through the jungle and the views from the top are astounding. Hikers should be aware that although the summit can be reached without any special equipment or technical climbing skills, some people may experience the dizziness and shortness of breath associated with altitude sickness. Climbing Mount Kinabalu is an extremely rewarding experience and one of the top activities in Malaysia. The Great Cave of Niah is one of the largest limestone caves in the world, and an archaeological treasure house. It was here that archaeologists discovered the evidence of man's existence dating back 40,000 years. A display of tools, rock paintings and human skulls tell the story of ancient civilisations. The rest of the park is dominated by limestone and lush tropical vegetation, loomed over by the magnificent Gunung Sabis peak, at 1,294ft (388m). Once you have paid admission you will be ferried across a small, crocodile infested river in a motor boat, and then trek for an hour or two through the jungle to reach the caves. The walk is rewarding in itself and if you're lucky you'll see some wildlife. The caves are huge, dark and sometimes smelly (from the habitation of bats and birds); they bring out one's inner Indiana Jones and exploring them is exciting. Be prepared for slippery conditions because although there is a wooden boardwalk it is always wet. It is also a good idea to bring a flashlight if you want to explore properly. The Great Cave and the Trader's Cave are currently open to the public but unfortunately the Painted Cave has been closed since 2012 and it is unclear when it will reopen. You can still find ancient rock paintings in the area though. This vast equatorial rainforest is an enchanting destination that is best explored through self-guided trails. The most interesting diversion from these trails is provided by a trip to the Sepilok Orangutan Sanctuary. Here orangutans that have been rescued find temporary shelter and rehabilitation before their re-release into the forest; the centre was set up in 1964 to raise orphaned baby orangutans. The sanctuary gives tourists and researchers the priceless opportunity to observe and interact with the animals in their natural habitat. Visitors are restricted to the walkways but the orangutans often come over to interact. The orangutans are fed twice daily on the feeding platform, at 10am and 3pm, and it is a good idea to time your visit to witness this. Photography is permitted but there is an extra charge to bring in a camera. Another amazing attraction in the Sepilok Forest Reserve is the Sandakan Rainforest Discovery Centre (RDC), a remarkable place which allows visitors to explore the jungle canopy on a series of raised walkways and platforms. It is an environmental education facility and the canopy tours system is the only one of its kind in Malaysia. For nature lovers - particularly bird watchers and those interested in tropical flora and fauna - this is a must. The holiday retreat of Bukit Larut, known formerly as Maxwell Hill, is the oldest hill station in Malaysia and is situated seven miles (12km) from Taiping, at an altitude of 3343 feet (1,019m). Bukit Larut is located in the wettest part of the country and receives a lot of rain, but it is also blessedly cool compared to the lowlands. This peaceful hill station, founded in 1884, has resisted the sweep of commercialism and the limited accommodation and lack of development give Bukit Larut an old-world colonial charm which the more popular and commercial hill stations no longer have; eight charming little bungalows nestled on the hillside provide the only holiday accommodation at the station, which ensures that it can never be overcrowded. The journey to the top of the hill station is an exhilarating climb, through virgin tropical jungle, that can only be undertaken by four-wheel drive; private vehicles are not permitted at the hill station, but there is a Land Rover at the foot of the hill which makes the trip up regularly from 7am to 6pm. From the summit, magnificent panoramic views of the west coast of the Malaysian peninsula, from Penang to Pangkor, can be enjoyed. Bukit Larut is perhaps the most authentic of the hill stations and a delightful place to spend time on a Malaysian getaway. The holiday destination of Cameron Highlands is the largest hill resort in Malaysia, located at the northwestern edge of Pahang state at an altitude of 6,001 feet (1,829m). This fertile region comprises a series of villages scattered along the main road amid terraced plantations bursting with vegetable, tea, flower and strawberry plantations. The colourful Cameron Highlands rose gardens and Tudor inns share the best of British customs, combining colonial charm with Malaysian beauty. While on holiday, the scenic drive along the main route of the Highlands can be taken at a leisurely pace to include a stop at the Kuala Woh Forest Recreation Park and the Lata Iskandar waterfall. The pleasure of a holiday in the Cameron Highlands (besides the temperate conditions) is the choice of attractions. While the emphasis is on relaxation, this can be achieved with the inclusion of strolls through Brinchang's market square, pottering around the handicraft stores, or unwinding at the Buddhist Temple. Besides Brinchang, Ringlet and Tanah Rata are quaint towns to explore from Cameron Highlands. Other popular holiday activities in the area include trips to the tea plantations, strawberry farms and waterfalls. Walks are numerous and scenic and can be enjoyed at leisure over a few days. The Cameron Highlands' 18-hole, par-71 golf course is open to the public. Louis James Fraser was a controversial, solitary figure who arrived at the seven hills that have come to be known collectively as Fraser's Hill and set up camp on one of the cool, lush summits. The Scottish pioneer disappeared under mysterious circumstances before the area's potential as a hill station was recognised but others followed him to investigate the site and found it perfect for a highland retreat. Fraser's Hill rests at 5,000 feet (1,524m) above sea level, within the state of Pahang, and is north of the Genting Highlands. 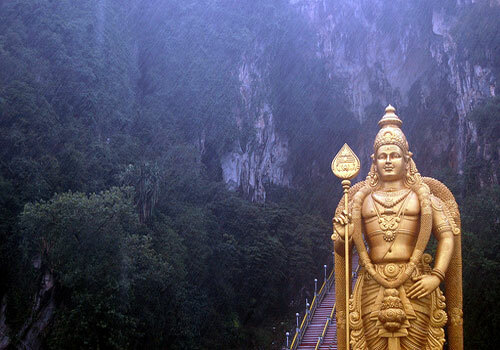 The hill station is only about two hours' drive from Kuala Lumpur. Fraser's Hill is a peaceful and cool place, a preferred holiday destination for bird enthusiasts and nature lovers. Jungle trails, waterfalls and colourful nurseries nestle peacefully in the landscape and are complemented by golf and horse-riding activities. There are extensive hiking trails in the area, and these are a big draw for those who want to explore unspoiled jungle. The scenic route from the base of the station twists and turns along a 22-mile (35km) stretch. Holiday accommodation is provided by a range of hotels, chalets and colonial bungalows. Although Fraser's Hill has been developed for tourism there are now regulations in place to ensure the jungle is protected from further development and remains as magnificent as it is. The Genting Highlands holiday resort, often called Resorts World Genting, has none of the colonial old world atmosphere of the other hill stations. 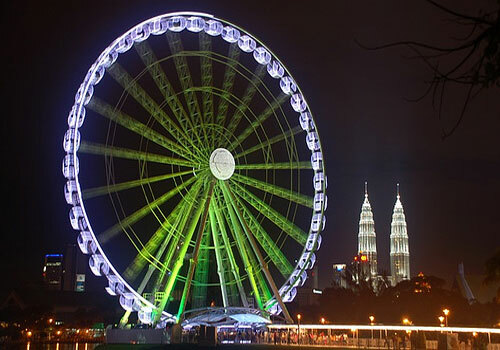 Its main purpose is to entertain Kuala Lumpur's more affluent citizens. To this end, the Genting Highlands resort offers the only legal, land-based casino in Malaysia, a cable car, a four-hectare (10-acre) artificial lake, a number of hotels, a handful of fun theme parks (indoor, outdoor and water park), a horse ranch, and a golf course. The hill resort is less than one hour's drive from Kuala Lumpur, or can be reached by a trip in the cable car, the Genting Skyway, which was the fastest and longest gondola lift in Southeast Asia when it was built. Little of the dense virgin rainforest that once covered the area survives and the Genting Highlands, affectionately known as the 'Fun City Above the Cloud' is a modern playground with no hint of the quaint colonialism or natural splendour normally associated with hill stations. However, the resort does still offer a welcome respite from the humidity, standing at 6,562 feet (2,000m) above sea level. Most Malaysians flock here on holiday to enjoy the vibrant nightlife of dinner shows, discos and gambling. Langkawi is the collective name for a group of 104 tropical islands located 20 miles (30km) off the northwestern tip of the peninsula. Pulau Langkawi is the largest and most developed island that draws holiday visitors to its duty-free shores. Much of the island's prolific development has been focused in the town of Kuah, also the embarkation point for visitors travelling by ferry, and there are plenty of shops and modern amenities to be enjoyed. However, most visitors on holiday in Pulau Langkawi leave the shops behind in favour of the stunning mountainous interiors, limestone outcrops, waterfalls, hot springs and pristine beaches. The best of these beaches, Pantai Kok, lies reclusively on the island's western side, a short distance from the spectacular Telaga Tujuh Falls. Pulau Langkawi's mystique would be incomplete without a legend. The story relates that a Malay princess was wrongfully accused of adultery and sentenced to death; her dying words laid a curse on the island. Her tomb and the associated Padang Masirat ('the field of burnt rice') can be found a few miles west of Kuah. There is no indication, however, that this beautiful place is suffering under a curse! Langkawi is easily accessible by boat or air, although during monsoon season the ferry crossings may cease. The popular Malaysian holiday destination of the Perhentian Islands (Pulau Perhentian) is made up of two islands, Perhentian Kecil (Small Island) and Perhentian Besar (Big Island), which are situated about 12 miles (20km) off the northeast coast of the Malaysian Peninsula. Known as a hippie getaway, the Perhentians are a backpacker's paradise. The fishermen double as tour guides, and simple beach bars spill out onto the pristine shore. There is more high-end accommodation available, but the islands have become iconic on the budget traveller's Malaysia itinerary. The islands are located within the Terengganu Marine Park and offer a largely undeveloped tropical paradise with stretches of white sand, wildlife, and nearby coral reefs. Diving and snorkelling trips around the islands are offered and the water is so clean and clear that you can snorkel off the beach. Perhentian Besar offers more upmarket accommodation than its neighbour. Three Coves Bay, on the north coast, is the best place to watch turtles between May and September. The islands can be reached from the town of Kuala Besut; taxi boats shuttle visitors between the two islands. Note that the east coast monsoon often renders the islands inaccessible between November and January. Tioman (known locally as Pulau Tioman) is a magnificent, ecologically rich and picturesque island. The 24 mile (39km) stretch of land shelters dense jungles flourishing between mountain peaks. Descriptive appellations, like Dragon-Horn Hill and Lizard Village, are inspired by the tropical charm of the island and its legendary namesake, a fairy-tale dragon princess. Tioman Island was aptly chosen as the location for the mythical Bali Hai in the film South Pacific. Pristine beaches hug the island's perimeter, lapped by the clear water that reveals luminous coral reefs and abundant marine life. The settlements of the island comprise a handful of villages located around the coast, while the hilly inland area is virgin forest, best explored along the famous Cross-Island walk. While on holiday on Tioman, scuba diving and snorkelling equipment can be hired, and PADI diving courses are offered in Salang and Air Batang. June to August is high-season on Tioman; November to January is monsoon season (the island is almost deserted over this period). There are daily flights to Tioman Island from Singapore and Kuala Lumpur. The main departure point for boats is from the coastal town of Mersing, with the journey taking one to two hours. There is also a daily high-speed catamaran service between Singapore and Tioman - a four and a half hour trip. A mountainous island with an interesting and somewhat tempestuous past, Pulau Pangkor welcomes visitors to its beautiful beaches and resorts. Now with a population of approximately 25,000, the island was once a hideout for pirates and the chosen location for a Dutch fort constructed to assert trade dominance in the region. The Dutch, however, were not in charge for long, with local leaders allying with the British to force them out. Thankfully the days of colonisation and violence are long gone and guests now find the island an ideal spot for relaxation. Pulau Pangkor proudly promotes eco-tourism and the island is home to an impressive variety of wildlife as well as lovely scenery. The tourist infrastructure is very good, with a variety of accommodation available and lots to keep visitors entertained. The beaches are easily accessible and favourites include Pasir Bogak, Teluk Nipah and Coral Beach. Those looking to delve into some island history can enjoy attractions such as the Fu Ling Kong temple, an ancient Chinese temple; Tiger Rock, a granite boulder bearing the etchings of a tiger dating back to 1743; and the Dutch Fort. There are also tombs to be explored and exciting treks up Tortoise Hill for the adventurous. Known for its spectacular beaches, unspoiled forest and striking animal and marine life, as well as its agreeable climate, Pulau Pangkor is a wonderful Malaysian retreat. With Chinese Malay Kampung architecture and a stylish and clean interior dotted with antique furniture, Bon Ton is one of Kuala Lumpur's most popular eateries and has a stylish yet laid-back atmosphere. Bon Ton used to be located in the Lot 10 shopping mall, but in early 2013 it moved to Central Market in China Town. Once you've tried the sesame crusted salmon fillet with roasted mashed potato and cream of chilli cilantro, there's no turning back. Open daily for lunch and dinner. Reservations recommended. Specialising in North Indian cuisine, Bombay Palace is one of Kuala Lumpur's most popular restaurants and sees hundreds of locals and tourists dining here each week. With majestic décor fit for a king, Bombay Palace delivers. Try the Lamb Vindaloo if you can handle the heat or for dessert try the Dil Bahar or Pista Barfi. Open daily for lunch and dinner. Reservations recommended. This Arabian gem, slightly incongruous in the middle of Kuala Lumpur's Chinatown, is a popular option, especially with vegetarians. The service is renowned for its friendliness and traditional staples like hummus and falafel feature strongly in the menu. Carnivores won't be disappointed either! The restaurant is open for lunch and supper daily. Some tropical illnesses are prevalent in Malaysia and travellers should seek medical advice regarding any recommended vaccinations before travelling. Hepatitis A and hepatitis B are common, as is dengue fever, which has no vaccination or immunisation. There has been an increase in cases of dengue fever in recent years. Malaria risks are isolated to the inland regions; the exception is Sabah, where there is an all-year risk. Travellers older than one year coming from infected areas require a yellow fever vaccination certificate. Visitors may also be advised to get vaccinations for rabies, typhoid and Japanese encephalitis, depending on their travel itineraries in Malaysia. Visitors should stick to bottled water and avoid uncooked meat, fish and vegetables, unpeeled fruit, ice and salads. A further health hazard in Malaysia is smoke haze and air pollution, particularly in Kuala Lumpur, which has some of the poorest air quality in Asia with very high Benzene pollution levels. This could aggravate cardiac or respiratory problems. The hospitals in Kuala Lumpur and other major Malaysian cities are of a high standard but medical facilities may be lacking in rural areas. Comprehensive medical insurance is recommended.